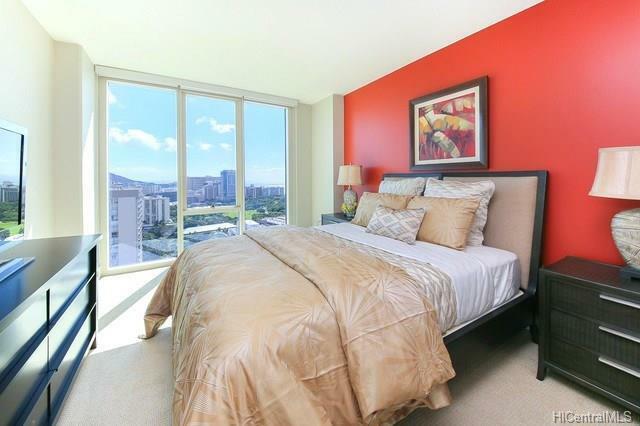 At the entrance of Waikiki, Sophisticated, Modern, world known "Kalakaua Ave" address for your home! 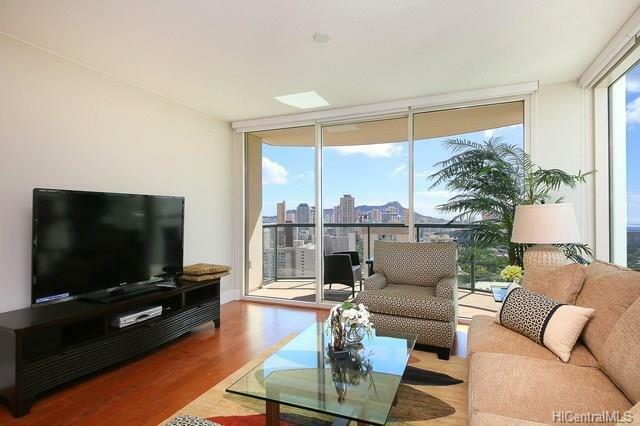 This corner, large 2 bed unit with gorgeous view of Waikiki, Sunrise to Sunset from the living room with Ocean andDH view. 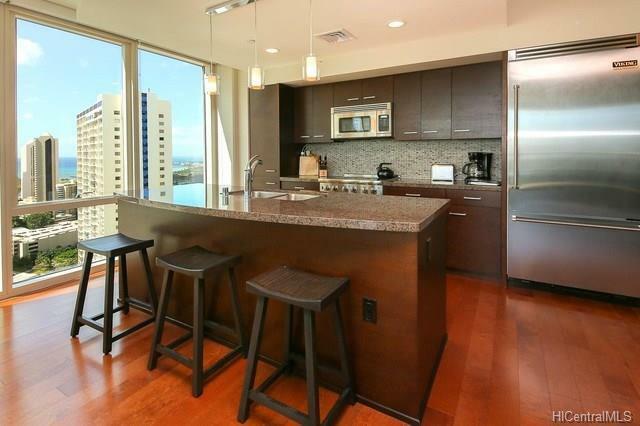 Resort living in a luxury amenities. Good tenant lease till Sep.30, 2019. VA loan approval building in Waikiki. Listings provided courtesy of Starts International Hi, Inc..